With the sounds of last weekend’s V Festival fading away, peace is returning to Hylands House in Widford, on the south-western edge of Chelmsford. 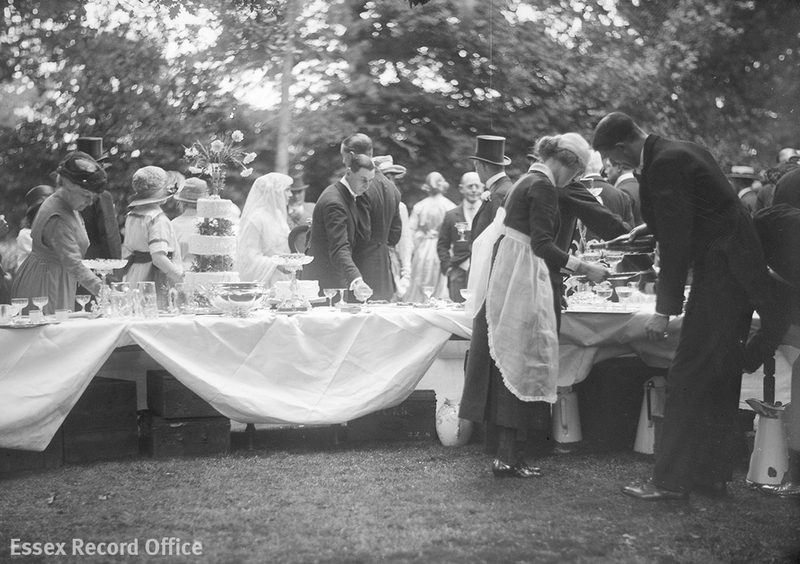 Today Hylands is also a popular wedding venue, and a reminder of just what a stunning location it is for such a celebration can be found in these photographs from nearly 100 years ago. 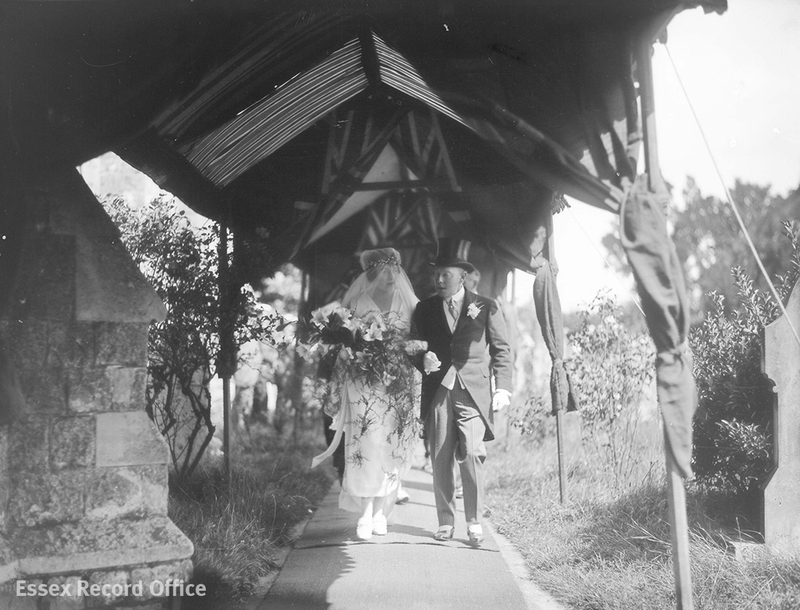 The wedding they show took place on 3rd August 1920, celebrating the marriage of Phyllis Gooch and Frank Parrish. Phyllis was the eldest daughter of Sir Daniel and Lady Gooch, who owned Hylands at the time. 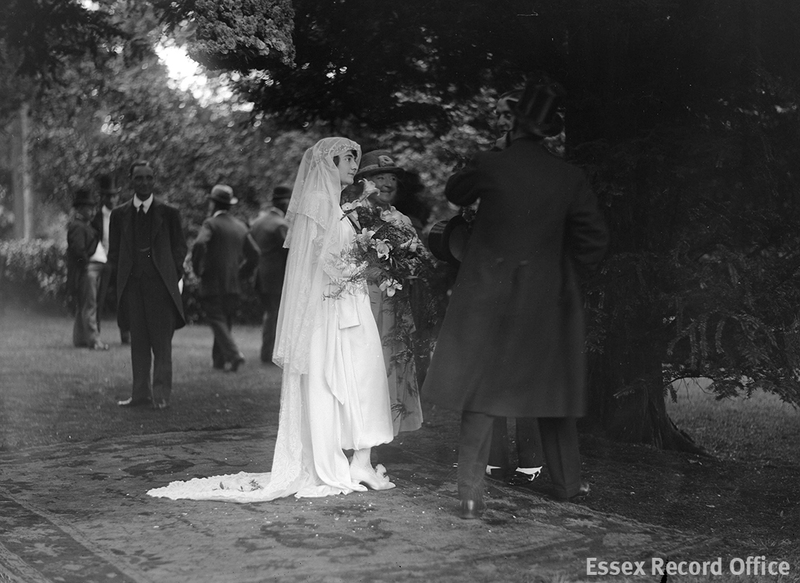 Taking place shortly after the end of the First World War this spectacular wedding, on what looks like a bright and sunny summer day, must have been a breath of fresh air as the country emerged from the privations of total war. Hylands itself had been used as a military hospital during the war, with the Gooch family assisting in its running. The bridegroom-elect is a typical example of the young English manhood that sprang to the call to arms. Educated privately, he left school at the early age of 17 and joined the Inns of Court O.T.C. [Officer Training Corps] He quickly gained his commission and entered Sir Herbert Raphael’s battalion of the K.R.R.C. [King’s Royal Rifle Corps – Raphael’s battalion was set up at Gidea Park and was known as the Artists’ Rifles] On receiving his second star in 1916 he went to France, and in a daring raid on some German trenches he was taken prisoner. 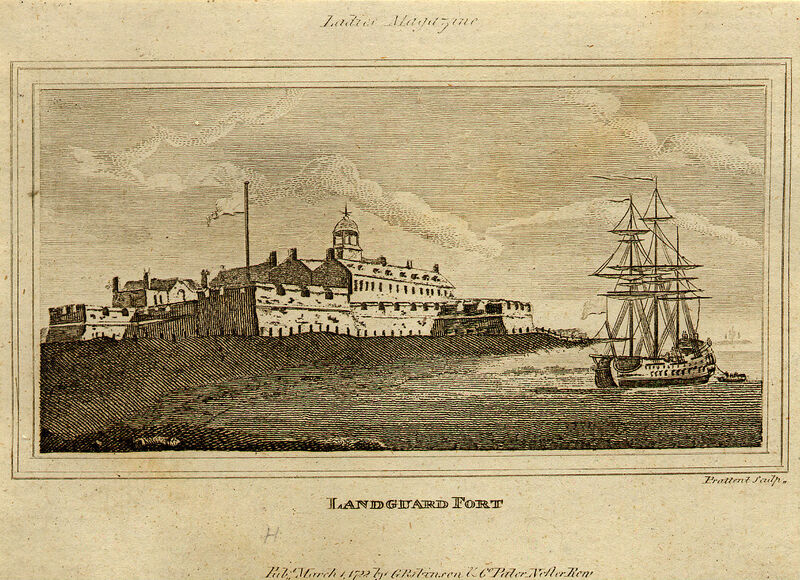 For nearly three years he was a prisoner of war, and was then among the fortunate ones who were kept in Holland, instead of being interned in Germany. The photographs below were taken by our favourite local photographer, Fred Spalding. Not only are these photographs fascinating windows to the past, they are an extremely rare example of candid photography. 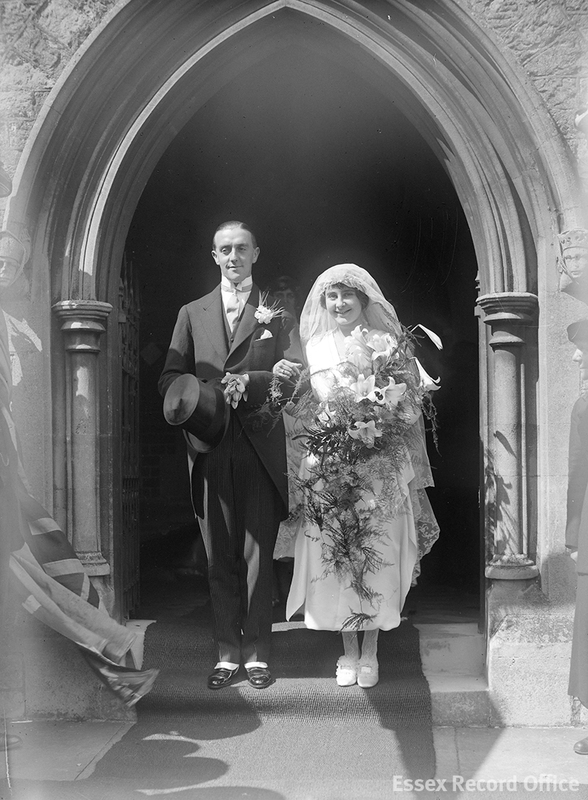 Wedding photographs at this time, where they were taken, usually consist of perhaps one or two images, of the bride and goom leaving the church and a posed family portrait. The cameras of the time were cumbersome and heavy, and used glass plates covered in light-reactive chemicals to capture an image. They would usually have been used with a tripod, and required a long exposure to capture enough light to produce an image. We think that Spalding may have used a camera such as a Graflex, which had a large. These kind of photographs would still have been challenging to take, but possible. Graflex manufactured the Speed Graphic camera, which was the press camera of choice for journalists in the first half of the 20th century. The church had been beautifully decorated with graceful palms, lovely ferns, remarkably fine white hydrangeas, lilies etc., by Mr W. Heath, head gardener at hylands. There was a crowded congregation, which included friends of the family, the tenants of the estate, and village folk. A flag-bedecked and carpeted awning stretched from the roadway to the church door. The arrival of the guests was witnessed by a large concourse, and the whole village appeared to have donned their best for the occasion, the bride and her parents being very popular in the village. The bride, who entered the church holding the arm of her father, looked radiant and very pretty. She was charmingly attired in white charmeuse with Brussels lace train, and carried a choice bouquet of orchids, carnations, and lily of the valley. Her train-bearer was her young sister, Daphne Gooch, who presented a delightful picture, dressed in pink georgette over maize colour, with tulle cap daintily wreathed with small roses. At the close of the service the organised played Mendelssohn’s “Wedding March,” and as the happy couple left the church the ringers rang a merry peal on the sweet-toned bells of the church. 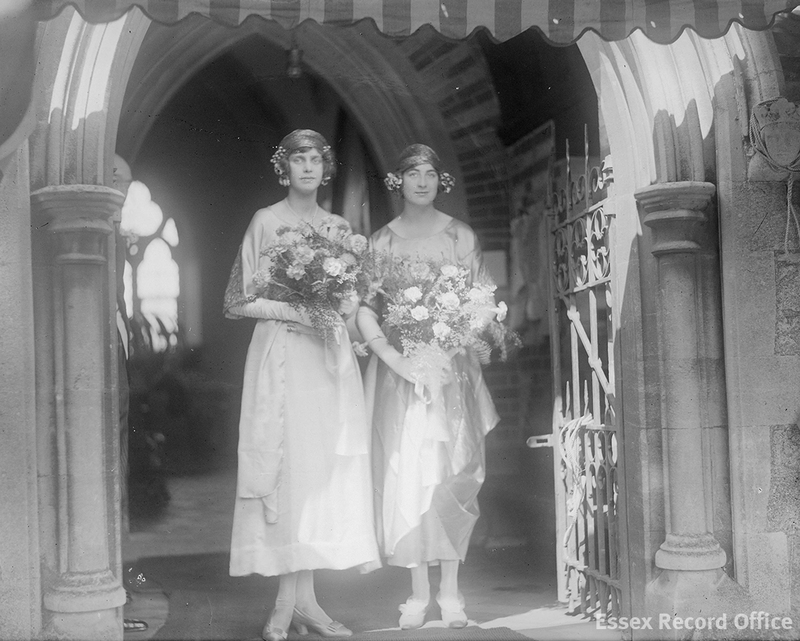 The bridesmaids were miss Cecile Eykyn and Miss margery Madge, who wore very becoming costume sof blue crepe-de-chine and picturesque gold mesh turbans; they also carried beautiful bouquets of pink carnations. 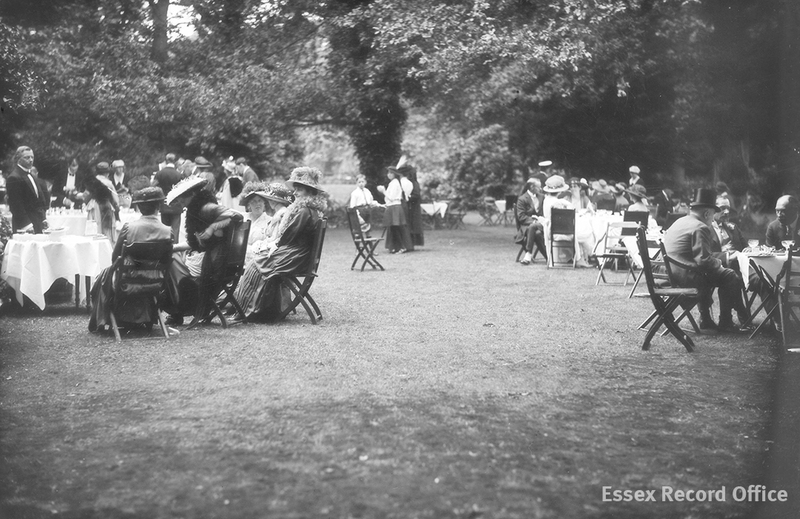 Guests on a lawn at Hylands, attended by a uniformed butler. 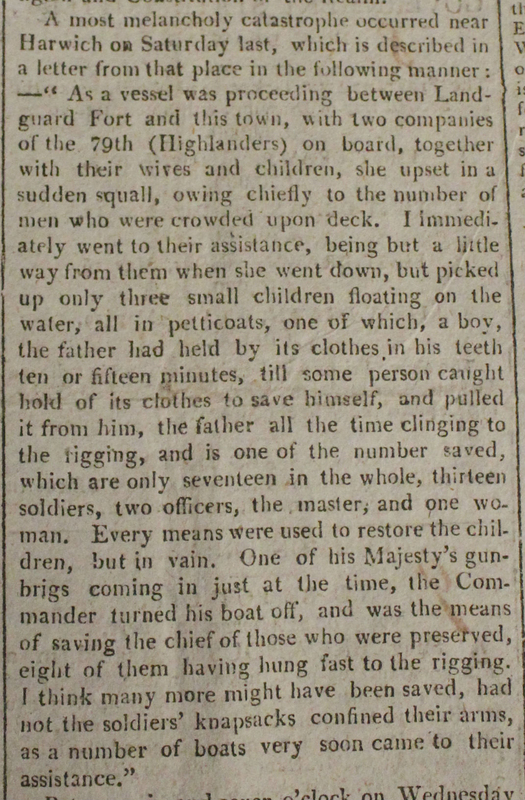 Note the uniform wearing of coats despite the fact it was 3rd August. The bride and groom and guests, with elaborate wedding cake and staff serving drinks. 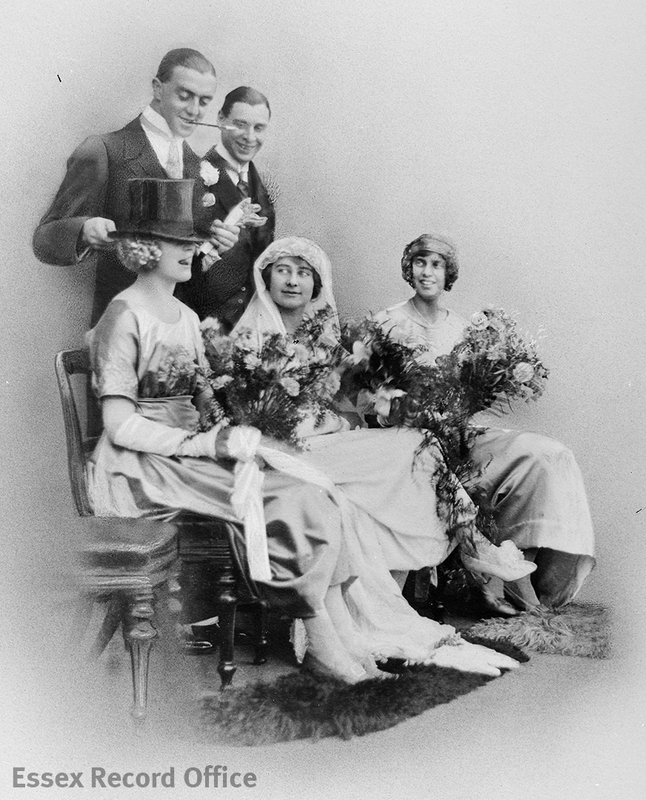 The groom playfully places his top hat on one of the bridesmaid’s heads while the rest of the wedding party look on. The bestman, Captain Alan Goodson, had seved with the Royal Flying Corps during the First World War. 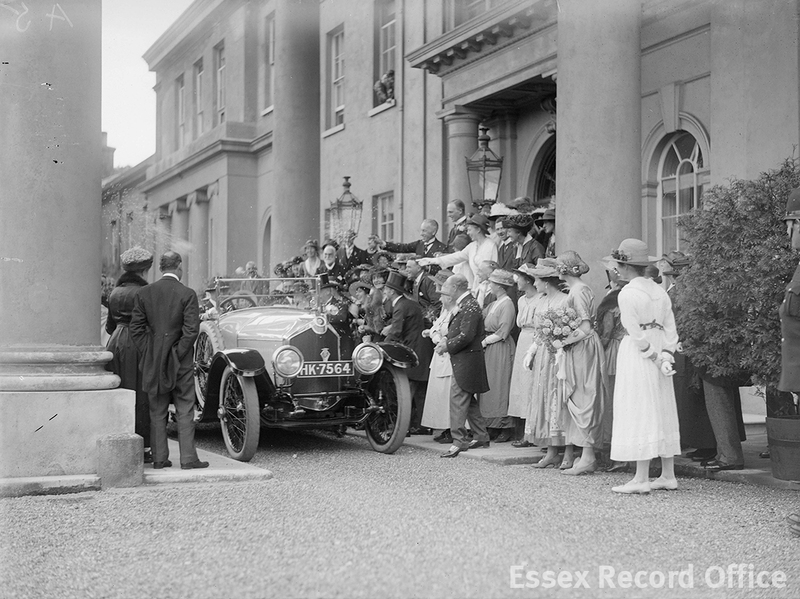 ‘Later Mr and Mrs Frank W. Parrish left for the honeymoon amid the hearty good wishes of the assembled guests.’ The couple left in a cream Crossley tourer, which was a wedding gift from the groom’s parents. The wedding may well have had a bitterweet feel to it. Five years before their daughter’s wedding at St Mary’s Church, the Gooch family had buried their eldest son, Lancelot, there. He had died of influenza in Malta while serving with the Navy. 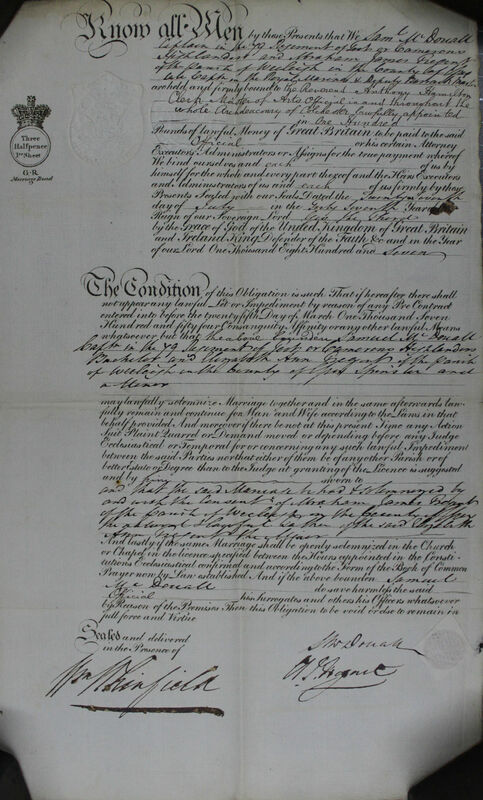 Having lost his heir, Sir Daniel put the Hylands estate up for sale only a month after the wedding. You can find out more about the techniques of early photography at our Heritage Open Day on Saturday 10 September 2016 – a celebration of creativity in the archives. Find out more here. 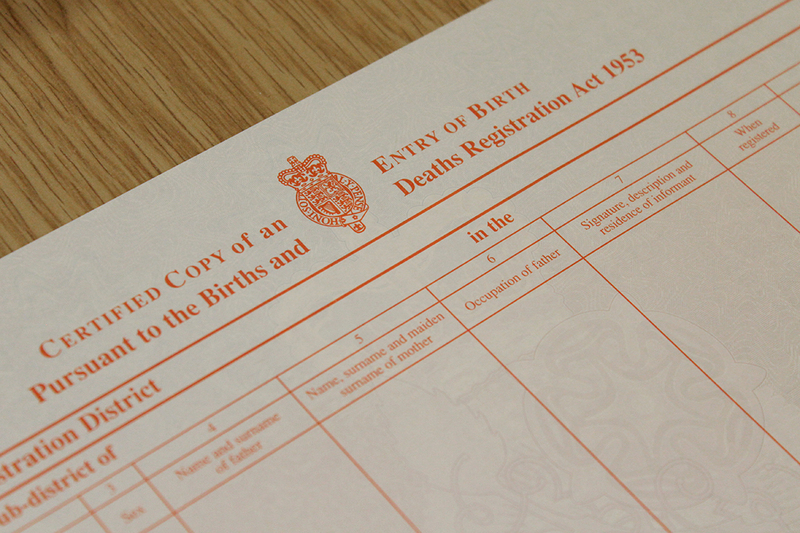 Parish registers are some of our most frequently used documents, and as well as providing useful information on baptisms, marriages and burials, sometimes an individual’s story is recorded in more detail. 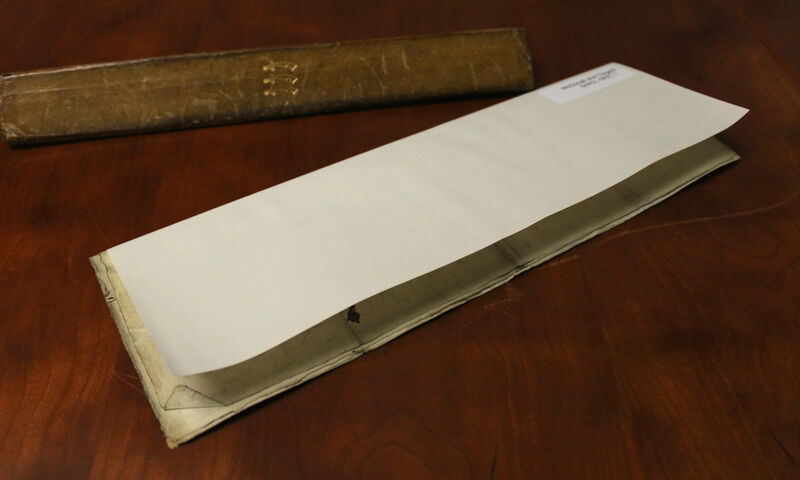 This is more common in the earlier centuries of the keeping of parish registers before standardisation, when record keepers could write as much or as little as they liked. Inevitably, however, such entries nearly always raise more questions than they answer. Clement Fenn singleman, and Prudence the late wife of Nycholas Lambert, wch dwelt in Little Clacton Lodge; were maryed uppon Teusdaye [six], the xvth day of August; but the (most accursed creature), did the verye next morning, desperatelie hang her selfe, to the intolerable grieffe of her new maryed husband, and the dreadfull horror and astonishment of all the countrye. Prudence Fen, now the wife of Clem[e]nt Fen, and late the wife of the above named Nicholas Lambert; was buried out of the compass of Christian burial; in ye furthest syde of the churchyard northward; uppon the xviith daye of August; for that shee most accursedlie hanged her selfe. Anne the daughter of John Hastler and Sarah the Relict of his Father Edward Hastler (by an Incestuous cohabitation for which she did publick penance in the Parish Church of this Parish of Sunday the 11 of March last past and Sunday the twenty eighth following; the first time in the Parish Church of this Parish and the second in the parish Church of Bishop Stortford the father having absconded himself) was baptised privately on the 25th day of 8ber 1707 and her baptism publicly certified in the Church on Easter Sunday April the 4th. 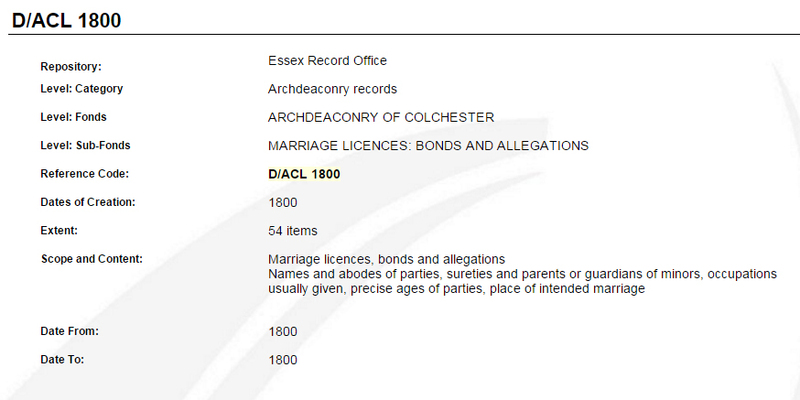 If you want to explore parish registers for yourself, you can do so using Essex Ancestors, which is available online for a subscription, or for free in the ERO Searchroom. 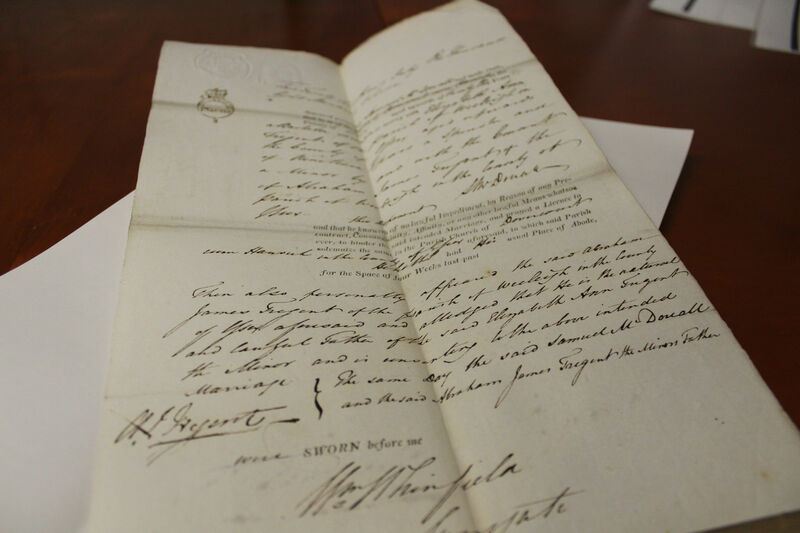 You can also look out for our Discover: Parish Registers sessions to really find out how to get to grips with these amazing documents.